Primary run-off Election Day is 7:00am-7:00pm, Tuesday, July 31. We encourage all Democratic voters to cast their ballot for Paul Sadler. The Democratic Party's runoff ballot is short. It has just one statewide ballot position for U.S. Senate. Democratic Blog News endorses Paul Sadler in the Democratic runoff for U.S. Senate and encourages all Democratic voters to cast their ballots for this well qualified candidate. Sadler's extensive Texas legislative experience in public education and professional work on renewable energy give him a solid grounding on issues that are critical to Texas and the nation. 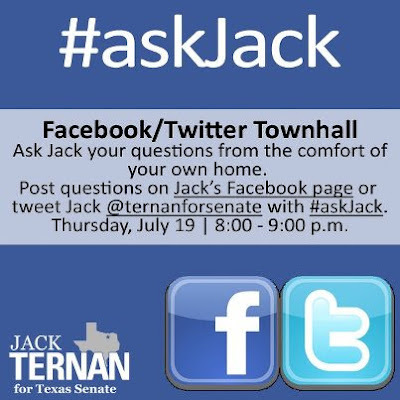 He is the obvious choice in the runoff to be our Democratic nominee for U.S. Senate, and will best represent Texas, if elected. If you love outside of Collin Co. you can find your polling place here. Candidate backgrounder after the more jump. The Texas District Courts of Appeals are distributed in fourteen districts around the state of Texas. The Courts of Appeal have intermediate appellate jurisdiction in both civil and criminal cases appealed from district or county courts. Like the Texas Supreme Court and Court of Criminal Appeals, Justices of the Texas Courts of Appeals are elected to six-year terms by general election. Appeals from Collin, Dallas, Kaufman, Rockwall and Grayson counties (map) are all heard by the 5th District Court of Appeals, which includes one Chief Justice and twelve other Justices. 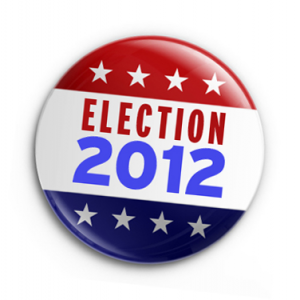 In the 2012 General Election five Democratic Candidates are running for the 5th Court of Appeals. Public Policy Polling found a 52-42% lead for Texas Tea Party favorite former state Solicitor General Ted Cruz in the U.S. Senate runoff. Cruz is ahead by a whooping 75-22% margin with Tea Party voters, more than making up for a 56-39% deficit to Lt. Gov. David Dewhurst with voters who don't consider themselves members of that movement. Cruz's likely victory Tuesday is also indicative of a generational gap within the Texas Republican ranks. Dewhurst leads with seniors, ages 56-39. But younger Republican voters are going heavily for the Tea Party candidate, 60% to Dewhurst's 33% with voters ages 18-45, and 59% to 35% with voters in the 46-65 age range. Public Policy Polling: PPP's final poll of the Republican Senate runoff in Texas finds Ted Cruz opening up a 52-42 lead, an increase from our survey two weeks ago that found him ahead 49-44. Cruz's victory is driven by 4 things: the Tea Party, the enthusiasm of his supporters, a generational divide within the Texas Republican ranks, and the lack of regard the party base currently holds for Rick Perry. Cruz is ahead by a whooping 75-22 margin with Tea Party voters, more than making up for a 56-39 deficit to Dewhurst with voters who don't consider themselves members of that movement. There has been too much of a tendency to ascribe any Republican primary upset over the last few years to Tea Party voters, but this is one case where it's well justified. Cruz has a 63-33 advantage with voters who describe themselves as 'very excited' about voting in Tuesday's runoff election. He also has a 49-45 advantage with those describing themselves as 'somewhat excited.' The only reason this race is even remotely competitive is Dewhurst's 59-31 lead with voter who say they're 'not that excited' about voting. It's an open question whether those folks will really show up and if they don't it's possible Cruz could end up winning by closer t0 20 points. The greater excitement among Cruz voters can also be measured by their eagerness to get out and cast their ballots during the early voting period. Cruz leads 55-40 among those who say they've already voted, so Dewhurst will likely need a huge advantage among election day voters to overcome the deficit. But Cruz has a 49-44 lead with those who have yet to vote too. Finally this is a story of surrogates and quite possibly a deep repudiation of Rick Perry. By a 31/24 margin voters say they're more likely to vote for a candidate backed by Sarah Palin, who gave her support to Cruz. Among the ten largest counties in Texas, Collin County ranked first in Republican voter turnout and second to last in Democratic voter turnout, as percentage of total registered voters. This tale of two parties is indicative of the Tea Party's organizational strength among grassroots conservatives in the county and the Democratic Party's challenge to reconnect with its atrophied grassroots base of voters. U.S. Supreme Court Justice Antonin Scalia says that the pivotal decision which reversed a law that prohibited women from using contraception is not supported under his interpretation of the Constitution. During an interview on Sunday, Fox News host Chris Wallace asked Scalia why he believed that it is a “lie” that women have a Constitutional right of privacy to choose to have an abortion and to use contraception. At the top of the video Justice Scalia and Wallace discuss the so called strict constructionist originalism and textualism constitutional argument that only the exact words written in the constitution, rather than an understanding and application of the principles, within the modern world context, that the framers were attempting to define, may be considered by the American judicial system. Later (9:15-11:30) they discuss Scalia's view that women have no constitutional right of privacy to choose to use contraception or have an abortion. Many people today do not remember that the sales and use of contraceptive products, even by married couples, were against the law in many states until the mid-1960's. Even the distribution of books and pamphlets about contraceptive products and practices was illegal. The U.S. Supreme Court ruled such state laws unconstitutional in its 1965 Griswold v. Connecticut decision. The court based its Griswold decision partially on the grounds that such state laws violated a married couple's right to privacy in making their own private family planning decisions. Social conservatives hold the Supreme Court's Griswold “right to privacy” declaration with contempt because it is the foundation of the court's 1973 Roe v. Wade decision. Citing the Griswold v. Connecticut and Eisenstadt v. Baird decisions, which were based on justifications of privacy, the Justice Burger Court extended the right of privacy to include a woman's right to have an abortion in its 1973 Roe v. Wade decision. “What about the right to privacy that the court found in 1965?” Wallace pressed. “There’s no right to privacy in the Constitution — no generalized right to privacy,” Scalia insisted. “Well, in the Griswold case, the court said there was,” Wallace pointed out. 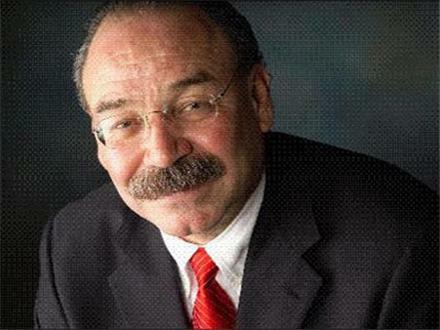 Florida’s former Republican Party chairman Jim Greer claims Republicans have made a systemic effort to suppress the black vote. 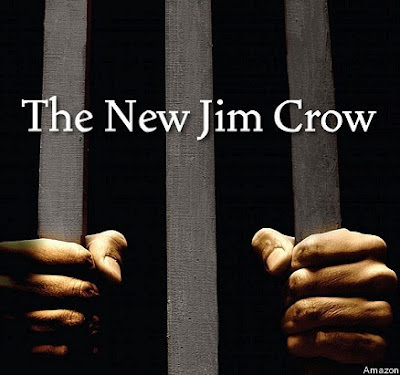 In a 630-page deposition recorded over two days in late May, Greer, who is on trial for corruption charges, unloaded a litany of charges against the “whack-a-do, right-wing crazies” in his party, including the effort to suppress the black vote. In the deposition, released to the press yesterday, Greer mentioned a December 2009 meeting with party officials. “I was upset because the political consultants and staff were talking about voter suppression and keeping blacks from voting,” he said, according to the Tampa Bay Times. Texas Attorney General Greg Abbott, defending the state’s voter photo I.D. 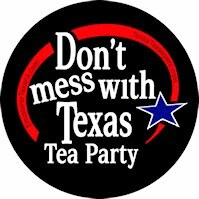 law, said in a Fox News interview on July 15, 2012: "What we have proved in Texas is that voter fraud exists. We have more than 200 dead people who voted in the last election -- and we proved that in court in addition to the fact that the voter ID law will have no disenfranchisement effect on the voters in the state of Texas." The Texas Voter Photo I.D. case currently before a federal Washington D.C. Circuit Court will decide whether Texas can enforce its year-old voter photo I.D. law. The three-judge panel composed of D.C. Circuit Judge David Tatel, and District Court Judges Rosemary Collyer and Robert Wilkins heard testimony in that five day trial earlier this month. PolitiFact: To recap trial testimony pointed to by Abbot: An elections official testified that after comparing a list of 50,000 dead registered voters -- where’s that headline? -- to records of voters in the recent primaries, "we believe" that 239 "folks voted in the recent election after passing away," meaning 239 voters cast ballots using voter registrations of dead Texans. According to his testimony, the state then took the best matches and sought death certificates "for as many of those as we could round up in a short time." Ten death certificates came back and, the official testified, four names, birth dates and Social Security numbers completely aligned on the lists and death certificates. The person who's dead isn't the same person listed on the voter rolls. The person who's listed as voting didn't actually vote due to a clerical error at the polling place. The person who's listed as dead isn't actually dead due to a clerical error at the vital records office. The person who's dead mailed a vote by mail ballot before death. There was actually a fraudulent vote by mail ballot cast. In other words, dead people are not voting and there is no "dead voter" impersonation fraud. Once a month fundraiser night to benefit Youth First Texas Collin County. 10% of all sales will be given to YFT! No collecting receipts. No having to designate. All sales count so even if you can't stay, call in an order and pick up. Please feel free to invite anyone who likes pizza and wants to support a great cause. Durkin's is great pizza and reasonably priced. They serve beer, wine and soda. Youth First Texas Collin County is holding this bowling event to raise funds that will be offered as reward money for information relating to the deadly assault of Molly Olgin, (19) and Mary Kristene Chapa, (18) a lesbian couple from Portland Texas. Both women were shot in the head on June 23rd 2012. Molly Olgin was killed and Kristene Chapa is still hospitalized. The entire proceeds of the event will be given to Crime Stoppers in hopes that it will aid in the capture of the assailant. To show your support join us at this event. You’ll enjoy 2 hours of bowling, including shoe rental for $25 per person. Gift bags will be given to the first 60 people who pay to attend the event. Please note, we will accept cash only at the door. Early Voting in the primary run-off is 7:00am-7:00pm, Monday July 23 through Friday July 27. Election Day is 7:00am-7:00pm, Tuesday, July 31. Many Democrats voted for Grady Yarbrough in the May 29 primary because they recognize the name Yarbrough on the ballot. Grady Yarbrough seemingly snuck onto the runoff ballot because too many Democrats confused him with the former Democratic statesman, Ralph Yarborough. Grady Yarbrough ran twice as a Republican for statewide office -- he is definitely no Ralph Yarborough. We encourages all Democratic voters to cast their ballots for Paul Sadler. Penny Phillips, candidate for 5th District Court of Appeals, Place 5, is out with a very well done campaign video on YouTube. I have been urging candidates to take advantage of free Internet broadcast channels, particularly YouTube, to inform voters about themselves and their campaigns. The DBN gives the Phillips Campaign a big hat tip for posting a very well done campaign video! 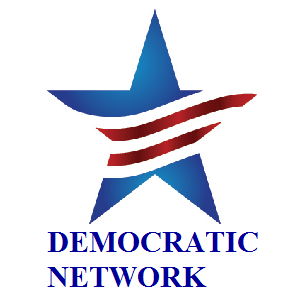 The DBN will give a hat tip to every video any Democratic Candidate posts on YouTube. Penny Phillips talks about running for Court of Appeals Justice. Penny is an Air Force Veteran, 20-year attorney, and dedicated leader. Penny is an experienced lawyer with a long history of dedicated public service. Penny served the state of Texas as an Assistant District Attorney in the 1990s. She also served the United States as a JAG officer in the Air Force. As a judge on the Court of Appeals, Penny would make sure that the lower court judges got the right answer by applying the right law to the facts of the case. In other words, as an appeals judge Penney would look at the law as it exists and hold everyone to it. Penny's background makes her a great choice to do this job and serve as a Justice on the 5th District Court of Appeals. Learn about why is the State of Texas suing the U.S. Attorney General, Eric Holder over "Voter ID" - and why should you care? How will it impact you and your fellow soldiers "in the trenches" of grassroots political fieldwork? This and more will be explained at the next Democratic Network Forum, Saturday morning, July 21st. Please join us, and bring a friend or two while you're at it! There has been plenty of coverage of various Voter ID issues across the country, but it's easy to get mired in minutia and lose track of what it all means in practical terms. Considering that the final resolution of the Texas case - possibly in the U.S. Supreme Court - could still be months away, and the deadline to register to vote in the General Election is October 9th, we may be in for another confusing election season. Michael Handley, Publisher and Managing Editor of Democratic Blog News, will be on hand to provide a "what you need to know" summary. Linda Magid, Senate District 8 Committeewoman for the Texas Democratic Party, will also be with us to share some exciting information about the new "Voter Empowerment Project," an initiative from the TDP to educate and empower Democratic voters. And, we'll also provide an overview of the voter registration process so you can bone up on the basics. There are just 12 weeks remaining to register new voters for the November 6th election, so now is the time to find prospective voters, help them register and provide the information they'll need to make wise choices when they vote. Once again, we'll meet at the John & Judy Gay Library in McKinney, 6861 El Dorado Parkway, just east of Alma. It's centrally located in the county and a beautiful facility with plenty of room, so please bring interested friends and neighbors. Come for coffee and breakfast goodies at 10:45 am and the program will get started at 11. We'll wrap up by 1 pm and those who care to can adjourn to a nearby restaurant for lunch and continue the discussion. If you're not able to come this Saturday, we hope you'll be able to join us at our next Forum. Our plan is to offer local residents opportunities to learn more about the issues that affect us right here in Collin County, and what we, as Democrats, are doing to make things better. We also hope to foster discussion groups in each of our local communities. We invite your input on topics, speakers, format and other options - and encourage you to get involved in growing our network. We'll have sign-up and comment sheets at the event, but if you aren't able to attend, please e-mail us at info@collindems.net, or call (469) 713-2031 to leave a voice message. Voter Photo I.D. Laws A Burden To 1 In 10 Voters Who Lack A Photo I.D. During the 2011-12 legislative sessions, states enacted an unprecedented number of laws restricting access to voting. Voter ID laws are the most common type of restriction. Ten states — Alabama, Georgia, Indiana, Kansas, Mississippi, Pennsylvania, South Carolina, Tennessee, Texas, and Wisconsin8 — now have restrictive voter photo I.D. laws. A new report released by the Brennan Center for Justice within New York University finds that these new laws create an obstacle to voting for more than 10 million eligible voting age citizens who do not have a photo I.D. Many American citizens lack the documentation these laws require. In fact, more than 1 in 10 voting-age citizens do not have current, government-issued photo ID. Some populations lack these documents at even higher rates: 25 percent of African-Americans, 16 percent of Hispanics, and 18 percent of Americans over age 65 do not have such ID. Data supplied by Texas and South Carolina also show that poor and minority voters are substantially less likely to have the kind of photo ID these states require. Of course, 9 in 10 Americans do have photo IDs. These documents are used to drive cars, board airplanes, enter government buildings, and purchase various consumer products. Accordingly, many Americans might find it difficult to understand how so many of their fellow citizens lack such basic documentation. They might also assume that it must be relatively easy for these citizens to get photo ID. After all, all states with restrictive voter ID laws provide some way for voters to obtain a free one. However, making the ID itself free does not address the significant obstacles that can make it difficult for Americans who lack the required photo ID to obtain one. Many of these voters do not have a car and will have to rely on public transportation — where it exists — to travel to a far-away government office. That office may be open only a few hours a week, and rarely on weekends or in the evening. Voters may have to miss work or arrange for childcare to make the trip. And even if they can make it there, they may not be able to afford the costly supporting documentation — such as birth certificates or marriage licenses — required to apply for photo ID. The Brennan Center report describes the burden on Americans who must obtain government-issued photo ID to comply with restrictive voter ID laws. The study demonstrates that many rural, urban, poor, and minority voters must overcome substantial obstacles in order to retain their right to vote. Read the full Brennan Center report. Who will be able to vote in this year’s pivotal presidential and Congressional elections? That is a key question, and the answer will be shaped by the wave of new laws in states designed to curb and suppress voting in the name of combating voter fraud that has repeatedly been proved to be virtually nonexistent. Since 2010, 11 states, almost all dominated by Republicans, found the time and exerted the effort to pass voter ID laws, all in the ostensible name of fighting the terror of voter fraud. 9 percent of voters from the rolls. Actually, state Rep. Mike Turzai (R) was not the first elected official to commit embarrassing truth when discussing voter ID laws. In New Hampshire, the Republican state Speaker told a tea party gathering that he supported the state’s voter ID law because it would decrease student voting, and: “They’re foolish. 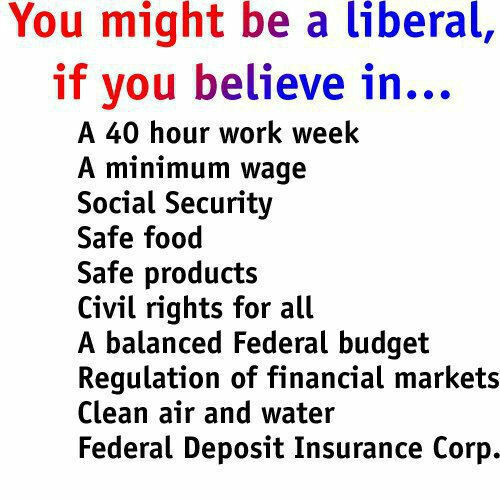 Voting as a liberal, that’s what kids do.” What a surprise that in Texas, a concealed weapon permit is acceptable for voting, but a state university-issued student ID is not. Most of the new voter ID laws make it very hard for people, especially the poor, minorities and elderly, to get acceptable photo IDs when they don’t have them. Older voters who don’t have birth certificates or other supporting documents required to get the photo ID have to pay to get them — and in some Catch-22 cases, they can’t get birth certificates without photo IDs. In Texas, the rural poor who lack IDs could have to drive 100 miles or more to find a place to get one, and most do not have cars. Attorney General Eric Holder has been criticized by the Wall Street Journal for calling this a new poll tax, but he is right — it is an onerous burden on poor people who don’t drive and don’t fly in order to be able to vote, a burden that does not exist for most of us. Read the full story @ Roll Call. The Voter Empowerment Project (VEP) is a new project of the Texas Democratic Party designed to educate and empower Democratic voters. The VEP will help voters through all aspects of the electoral process, from registration to casting a ballot that counts for the candidates of their choice. Follow the Texas Democratic Party's Voter Empowerment Project on Twitter @TxDemVote and Like on Facebook. Why Millions of American Voters Have No Government Issued Photo I.D. The Texas Voter Photo I.D. case currently before the federal Washington D.C. Circuit Court will decide whether Texas can enforce its year-old voter photo I.D. law. That federal court five day trial started last Monday, before a three-judge panel composed of D.C. Circuit Judge David Tatel, and District Court Judges Rosemary Collyer and Robert Wilkins. The trial concluded with closing arguments last Friday. During closing arguments Judge Robert L. Wilkins asked the lawyer for Texas if the state’s voter photo I.D. law would force some people to travel more than 100 miles to get the documents required for a photo identification. “How does that impact your argument?” asked Wilkins. “Isn’t that unduly burdensome?” John Hughes, the state’s attorney, said Texans in rural areas are used to driving long distances. “People who want to vote already have an ID or can easily get it,” he said. The exchange highlighted the key dispute in this federal court trial. What a minute -- If you don't have currently dated driver's license (to vote) you probably don't own a car to drive. And, if you don't have a driver's license or car, you're not going to drive 100 miles to the state driver's license bureau, after first not driving someplace else to get your original (or notarized copy) birth certificate, to get a government-issued photo ID. Huh? Student IDs and Military Veteran IDs will NOT be accepted in Texas for purposes of identification for voting. The issue is whether the 2011 law violates the federal Voting Rights Act by making it harder for minorities to cast ballots. Under Section 5 of the Voting Rights Act, the Justice Department or a federal court is required to pre-clear laws affecting voters before they go into effect in jurisdictions with a history of voting discrimination -- and that includes Texas. Texas has the burden at trial to prove that its voter photo ID law, signed into law by Gov. Perry last year, does not have the purpose or effect to deny a minority citizen the right to vote. Much of the debate during the trial last week focused on the issue of exactly who would be affected by it. The burden is on Texas to convince the three judge panel that the voter ID law is not discriminatory. 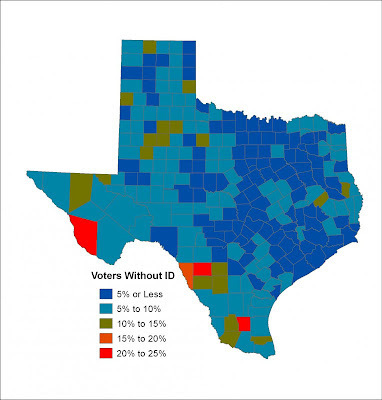 The State of Texas argues that there is no evidence, statistical or otherwise, that the voter photo I.D. law is discriminatory. Judge Tatel, of the U.S. Court of Appeals for the District of Columbia seemed skeptically of the argument that the law will not adversely impact voters. 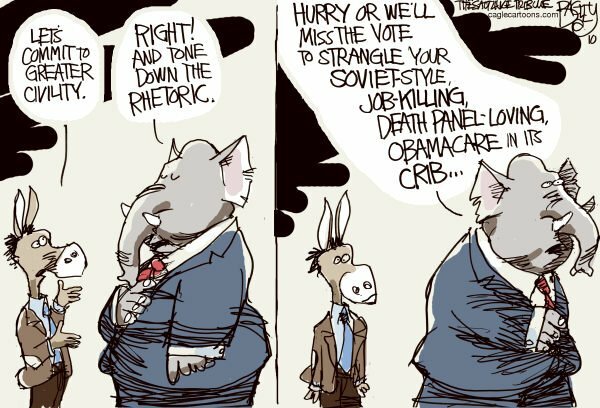 Particularly, poor rural minority voters. Tatel added that the record showed that minorities in Texas are more likely than whites not to have cars and to live up to 120 miles away from the closest place to get voter ID documents. Under the Texas law, the minimum cost to obtain a voter ID for a state resident without a copy of his birth certificate is $22. While the “Election Identification Certificate” needed to vote is free, the state legislature voted down proposed legislation to allow people to get identification documents, needed to obtain the "free" voter I.D., free of charge. In his closing argument, U.S. Department of Justice (USDOJ) lawyer Matthew Colangelo said that the Texas law will disenfranchise more than one million African American and Hispanic voters and “is exactly the type of law” that Congress had in mind when it passed the Voting Rights Act. During the week long trial, the three judge panel heard testimony from lawmakers, professors, civil rights activists, election lawyers and statisticians over the estimated number of people who could be adversely affected. The expert testimony given by witnesses for state of Texas contended that few if any voters lack one of the required photo I.D. cards, while USDOJ witnesses testified that up to 40 percent of registered voters in some rural south Texas counties lacked photo I.D. Now, it is up to the three judge panel to decide. The judges say they will decide the case by Labor Day. However the three judge panel rules, the losing party is expected to appeal — and that appeal will go straight to the Supreme Court of the United States, bypassing an appeals court. The speechifying continued at the NAACP Annual Convention in Houston as Vice President Joe Biden took the podium on Thursday. Biden was pitch-hitting for President Obama, who taped a brief video for the convention (and who will appear in person at the National Urban League's annual conference later this month). Despite Obama's physical absence, Biden used his speech to forcefully defend his policies that have affected African Americans. And where the president probably would have been more congenial, his VP came out swinging. "He passed the Affordable Care Act, a goal strived for by presidents starting with Teddy Roosevelt," he said to applause from the audience -- a sharp contrast to their loud, sustained disapproval over Mitt Romney's vow to them on Wednesday to repeal the health care law. "He cut $100 billion from the federal debt over the next 10 years, providing access to affordable health care to 30 million Americans, 8 million black Americans who would never have had insurance." On the notion of putting convictions before politics, Biden touted the president's stimulus bill and auto-industry bailout as tough decisions from the president that were unpopular but right. "He was right, saving a million jobs and creating 200,000 jobs in the automobile industry," he said. "General Motors now leads the world again, and Chrysler is the fastest-growing company in America." ... Biden closed his remarks by outlining the president's views on civil rights. In a hushed, sober tone, he asked the NAACP audience to reflect on their organization's history. "Remember what this at its core was all about. It was about the franchise," he said before raising his voice to a shout. "It was about the right to vote! 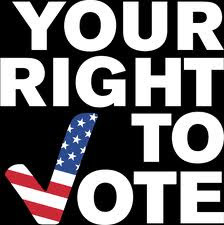 Because when you have the right to vote, you have the right to change things! And we -- the president and I, and Eric [Holder] and all of us -- we see a future where those rights are expanded, not diminished! Where racial profiling is a thing of the past! Where access to the ballot is expanded and unencumbered! Where there are no distinctions made on the basis of race and gender in access to housing and lending!" He argued that Romney, who has, for example, supported voter-ID laws, sees a future in which voting is made harder -- and asked the crowd to imagine what a Romney Justice Department would look like. "Imagine the recommendation for who is likely to be picked as attorney general or the head of the civil rights division, or those other incredibly important positions at Justice," he said. "Imagine what the Supreme Court will look like after four years of a Romney presidency. Folks, this election, in my view, is a fight for the heart and soul of America." Read the full story @ The Root. Earlier this week, Attorney General Eric Holder declared in his address to the NAACP national convention in Houston what many voting rights advocates had been saying for months: That the photo voter ID law passed in Texas is a poll tax. Determining whether voter ID laws are as unconstitutional as poll taxes won’t be up to him, though. That honor goes to the U.S. Supreme Court justices who lately have been signaling they may be ready to gut the 1965 Voting Rights Act. What this means is that a legal challenge to a voter ID law in Texas could be the trigger for the demise of the constitutional act that made it possible for people of color to vote in much of the country. Rightwing pundits have all but conceded this week’s US District Court hearing over Texas’s voter ID law to the Department of Justice. When the Voting Rights Act finally passed in 1965, made possible by the Smith v Allwright SCOTUS decision 20 years earlier, it once and for all banned any instrument, law or policy that would prevent anyone from voting based on race or color. Texas has been fighting back ever since. In other words, at least 54 times in 25 years, Texas had to back down from an effort to restrict the vote—thanks to the power granted the federal government under the Voting Rights Act. That power may soon be removed by the Roberts court. The VRA enforcement represents an imposition of the federal government on state sovereignty, according to many Texas state officials today. Gov. Rick Perry said that DOJ’s enforcement of VRA in South Carolina, for instance, represented a “war” on states rights. The current state attorney general, Greg Abbott, has sued the federal government 24 times since he took office in 2004 over a number of federal law enforcement measures, not limited to voting rights. But the same fear of expanding the electorate to people of color that existed in the years after Smith v Allwright seems to have spurred Texas state legislators to create the voter ID law currently challenged in court. During this week’s district court hearing, voting rights and race expert Morgan Kousser, of California Institute of Technology, testified that “there was considerable concern” among white state legislators about “losing control” of the legislature. “There is such a correlation between partisanship and race that any bill that has partisan effects would have racial effects,” said Kousser. Read the full story @ Color Lines. The Texas Voter Photo I.D. case currently before the federal Washington D.C. Circuit Court will decide whether Texas can enforce its year-old voter photo I.D. law. The U.S. Department of Justice contends the law will prevent from 795,955 to 1.4 million registered Latino and African-American voters from casting a ballot in the November General Election. Under Section 5 of the Voting Rights Act, the Justice Department or a federal court is required to pre-clear laws affecting voters before they go into effect in jurisdictions with a history of voting discrimination -- and that includes Texas. Texas has the burden at trial to prove that its voter photo ID law, signed into law by Gov. 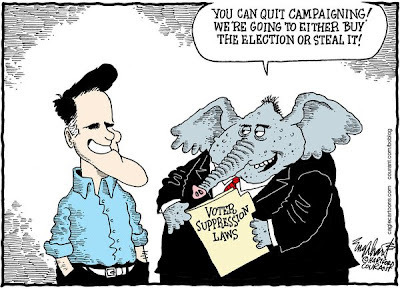 Perry last year, does not have the purpose or effect to deny a minority citizen the right to vote. That federal court trial started on Monday, before a three-judge panel composed of two district court judges and an appeals court judge. Originally set to go into effect on January 1, 2012, the Texas Photo I.D. 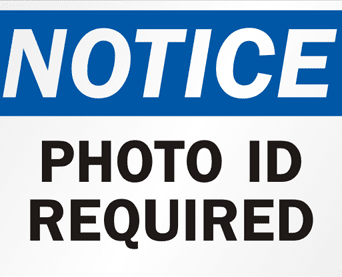 Law (SB 14) would require voters to present one of a limited selection of government issued photo I.D. to election Judges in order to qualify to vote. The accepted forms of currently dated photo identification are: Department of Public Safety issued Texas driver's license, Texas election I.D., or personal identification card; Texas concealed handgun license; U.S. military I.D. card; U.S. citizenship certificate; or U.S. passport. The other forms of personal identification currently accepted for voter qualification could no longer be used under SB 14. SB 14 provides that people who do not have one of the prescribed photo I.D. 's may obtain a "free" Election Identification Card (EIC) from a Dept. of Public Safety (DPS) Driver's License office. In opening arguments on Monday, Adam Mortara, an attorney for the State of Texas, told the DC Court three judge panel that the vast majority of registered voters already have a photo ID. "This is a case about Texas' proposed implementation of one of the most popular voting reforms of the last 20 years, a common-sense requirement that when you show up to polls to vote, you prove you are who you say you are with a photo ID," said Adam Mortara of Bartlit Beck Herman Palenchar & Scott. Mortara said showing a photo ID is part of routine life, from getting into a federal courthouse to riding on an airplane. The DOJ's evidence, Mortara said in his opening statement, is flawed and cannot be used to block the state from carrying out its identification law. Mortara in particular critiqued the work of Stephen Ansolabehere, a professor of government at Harvard University who found Hispanics and blacks in Texas are disproportionately lacking identification compared to white voters. A DOJ lawyer, Elizabeth Westfall of the department's Civil Rights Division, said in her opening arguments that Texas "is unable to meet its burden" that the voter ID law will not have a retrogressive effect. Ansolabehere, Westfall said, determined that at least 1.4 million potential voters [approximately 10 percent of all voting age citizens in Texas] lack any form of state-issued ID that is accepted under the law. "In fact, minority registered voters in Texas are two-thirds more likely than white registered voters to lack an allowable state ID," Westfall said. That disparity exists among recent voters and all registrants, she said. While the State of Texas disputes the fact that up to 1.4 million, or even "just" 795,955 of all voting age citizens in Texas lack any form of state-issued ID accepted under the new I.D. law, there is still no disenfranchisement. Republicans for the state argue there is no disenfranchisement of those without I.D. because anyone can easily obtain a "free" EIC from a Texas DPS office. The catch is that in order to obtain a “free" EIC from the Texas Department of Public Safety (DPS), a person must take time to travel to a DPS office and present other government-issued documents mandated by the federal Real I.D. Act of 2005. The Federal Real I.D. Act, which turns state driver's licenses into a national identity card, adds additional barriers for everyone, particularly women of every age, to obtain or renew their driver's license. documents needed to obtain a “free" EIC include a passport, or a combination of documents, or a state certified birth certificate, or a certified copy of a court order indicating the applicant’s name and date of birth, and additional documents. Identification documents required to obtain a "free" EIC can cost considerable time and money to obtain. For example, obtaining a birth certificate in Texas costs $22 in order to vote -- and that amounts to a poll tax. For those who do not have a driver's license, and therefore don't own a car, getting to the DPS adds additional financial burdens that may, in some areas of Texas, be insurmountable -- and that, too, amounts to a poll tax. Confidence in television news has hit a new low, a new Gallup poll reported Tuesday. The survey showed an interesting political split. Overall, Democrats were much more likely than Republicans to trust TV news (34 percent versus 17 percent.) 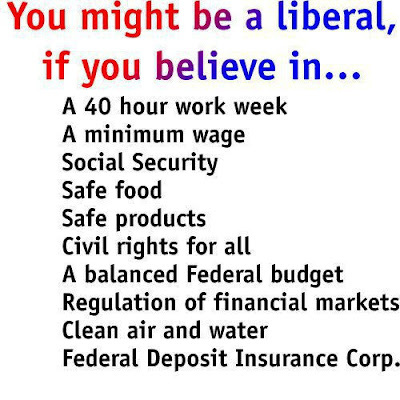 But self-identified liberals were the most disenchanted of all groups, with just 19 percent expressing confidence in the medium. Gallup said that "Americans' negativity likely reflects the continuation of a broader trend that appeared to enjoy only a brief respite last year. Americans have grown more negative about the media in recent years, as they have about many other U.S. institutions and the direction of the country in general." As if to illustrate that point, American newspapers also fared very poorly in the survey, with only 25 percent of respondents expressing confidence. As the news media has become increasingly controlled by a few global conglomerates who format news as entertainment programing, often little more than repackaged political "think tank" propaganda, Americans have lost confidence in traditional "old media" news outlets. In 1910, nearly 60% of cities had competing daily papers, but today that completion of viewpoints has all but disappeared. 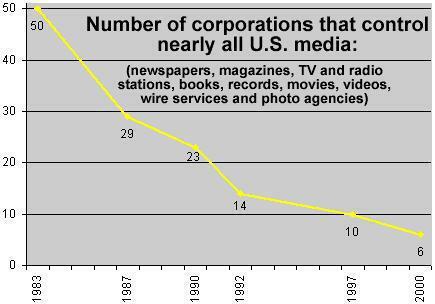 Unfortunately, media consolidation over the past twenty years has taken its toll on the "widest possible dissemination of information as an essential check on government and business." 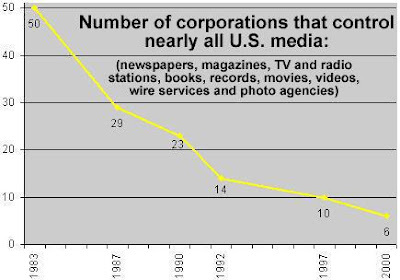 Through successive acquisitions and mergers a few massive multinational media conglomerates controlled by conservative owners control more and more of our vital information sources – including television networks, cable channels, newspaper publishing, radio, and the Internet. Today, people, particularly younger Americans, have gone to Internet to find the widest possible dissemination of information from diverse and antagonistic sources. Since 2007, the number of 18 to 29 year old adults citing the internet as their main source has nearly doubled, from 34% to 65%. 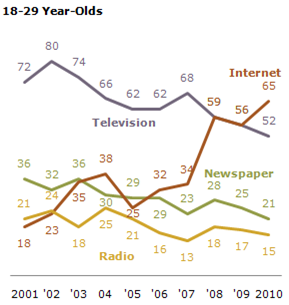 Over this period, the number of young people citing television as their main news source has dropped from 68% to 52%. The internet is slowly closing in on television as Americans’ main source of national and international news. According to a new survey from Harris Interactive, both iPhone and Android owners find common ground when picking the next president. Regardless of whether they're on iOS or Android, younger smartphone owners overwhelmingly choose Barack Obama -- smartphone users would vote for Barack Obama over Mitt Romney, 49 percent to 31 percent. That wide margin holds across iOS and Android users, with iPhone owners preferring Obama to Romney 47 percent to 34 percent and Android owners preferring Obama to Romney 50 percent to 29 percent. The survey was commissioned by Velti, a mobile marketing firm. Just as candidates are quickly learning how to text mobile device owners for campaign donations, so too candidates will quickly learn how to message mobile Ads to smartphones. In fact, Mitt Romney became the first U.S. politician to use Apple's iAd service in June, with another round of Google ads for Android, coming. 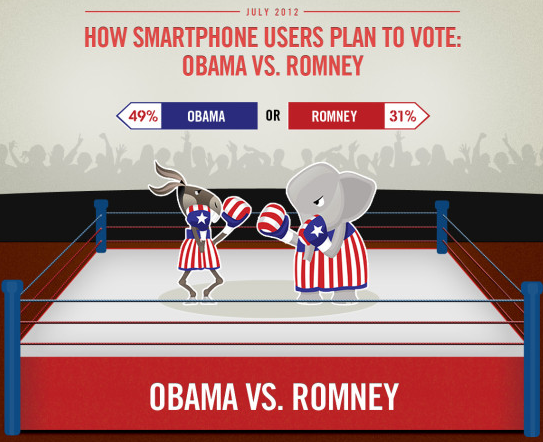 Barack Obama's campaign is thought to be planning smartphone Ads in the near future, too. There was some good news for Romney in the Harris Interactive poll, however: Romney leads Obama 57 percent to 34 percent among older retired iPhone and Android users. An overwhelming 97 percent of Obama voters were either iPhone or Android users, compared with 63 percent for Romney voters. The survey was conducted online June 27-29 among 2,164 adults, 776 of whom were iPhone/Android owners.